A long blog is not even necessary about this. We have more work to do in the streets. 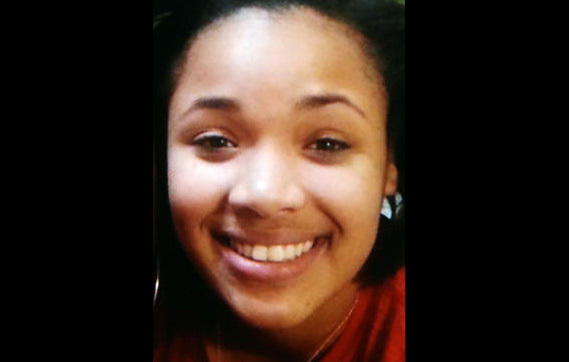 15-year-old Hadiya Pendleton is DEAD, plain and simple. She became the 42nd victim in Chicago to succumb to the street violence. This comes days after she was just performing during Inauguration festivities with her school. Reportedly, there is an $11,000 reward for the capture of Hadiya's murderer. This month has reportedly marked the highest murders in a January for The Windy City, aka Chiraq, since 2002. Last year the city exceeded 500 total murders. A question is being raised on social media: What does President Barack Obama have to say about this? Will he address this directly? Well, reportedly, at a White House press briefing Wednesday, Jan. 30, Pres. Obama's spokesman Jay Carney was asked about Hadiya's murder and said, "It's a terrible tragedy any time a young person is struck down with so much of their life ahead of them, and we see it far too often." Father Michael Pfleger, who is no stranger to taking action in the streets, has taken to his Facebook page as well to call for further outcry and action. He posted: "We should all be OUTRAGED and ANGRY this morning at the MURDER of this beautiful 15Yr old girl. Individuals who simply want to Kill and Terrorize the Community are enemies of the Community!!! But, WHERE THE HELL ARE ALL THE FOLKS WHO KNOW WHO THE SHOOTER IS? WHY AREN'T PEOPLE TURNING HIM IN THIS MORNING BEFORE HE KILLS ANOTHER CHILD? WHY THE SILENCE? WHERE IS THE COMMUNITY RESPONSIBILITY?" Minister Farrakhan continued, "Do you know what it would mean, my dear Brother President, if you came into Chicago, in the hood, and met with those parents that have lost their children? And then you go into your “bully pulpit” and preach to us in a way that is not “talking down” to us, but talking to us as one who truly is compassionate for what America has done to us—and what we are now doing to ourselves?" Will President Obama respond? Farrakhan certainly has. I was surfing the Internet, I read that Hadiya starred in this an anti-gang public-service video about four years ago. And now she has become a victim...sigh.